The Morehouse Debate Team had an excellent 2016-2017 season, finishing as the 5th ranked team in the nation in the National Parliamentary Debate Association rankings and winning the Georgia State Title for the 4th consecutive year. In addition, the team and its members won numerous smaller tournaments. 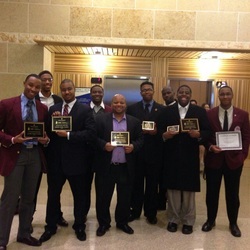 In the World format of British Parliamentary debate, Morehouse has had continued success, after advancing to outrounds at numerous tournaments in the 2015-2016 school year and being the first HBCU to hose the National Championship, two teams were invited to travel to England to compete in Oxford and Cambridge's IV tournaments.